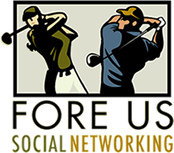 StoneTree is now the home course of ForeUs. StoneTree Golf Club, located in scenic Marin County, features a public 18-hole championship golf course, the exquisite Black Point Bar & Grill and an elegant craftsman style clubhouse. Situated amongst oak forests and pristine wetlands, StoneTree provides an unparalleled aesthetic richness. Here you will find an incomparable level of personal service, normally found in the finest private clubs. Whether on the golf course or in the clubhouse, you’ll discover every member of our staff is dedicated to ensuring your experience is enjoyable and memorable. StoneTree is the result of an inspired collaboration between venerable golfing figure and storied design expert Sandy Tatum, World Golf Hall-of-Famer Johnny Miller, design craftsmen Jim Summers and Fred Bliss. Through a special arrangement with StoneTree Golf Club (one of the premier golf courses in the Bay Area), ForeUs has arranged to play every 1st and 3rd Wednesday at a special price of $45, which includes green fees, cart, water bottles AND a post-round drink in the Clubhouse. In addition, a hot buffet is available after the round for $10. Visit us on Meetup to join us for a round.